This activity helps citizens to apply the safety instructions to be followed when a house is burning and must be evacuated. Although residents have been notified of the exercise to be held during Fire Prevention Week, they are unaware of the exact date of deployment on their street. The exercise is underway this week, between 6 pm and 8 pm, on the following streets: Cardinal, Mésange, Colibri, Willie-Albert, Angers, Durette, Leblond and Tweedie. 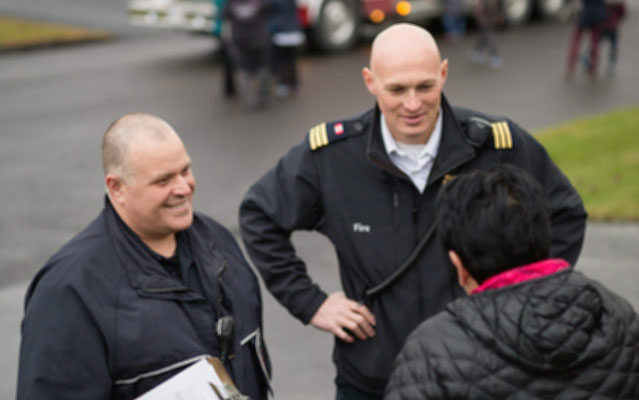 Between 6 pm and 7 pm, firefighters will activate their sirens on a designated street and residents will be asked to apply the instructions received in advance through brochures. All residents living on the targeted streets are invited to participate in the initiative. They will be visited by a firefighter following the evacuation to review compliance with the safety steps. Participants will receive a gift card for their participation. This activity was first organized last year during Fire Prevention Week and was very successful, so much so that other fire departments in New Brunswick have indicated wanting to try it out in their communities.